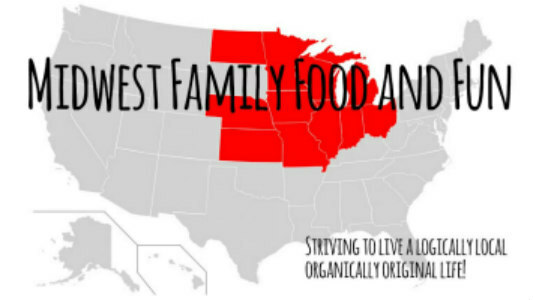 Midwest Family Food and Fun: As the Saying Goes, Necessity is the Mother of Invention! As the Saying Goes, Necessity is the Mother of Invention! So our dog Pau was doing a number on our window and sill. He managed to not only scratch the wood trim but also the glass itself. Not horribly bad but visible enough that it was soon going to cause a problem if I didn't figure out a solution. So what's a mom to do when she's given a basket of lemons...make lemonade of course. Well in this case grow an indoor herb garden. So off to the garden center we went. We owe it all to Home Depot for their great selection of herbs! 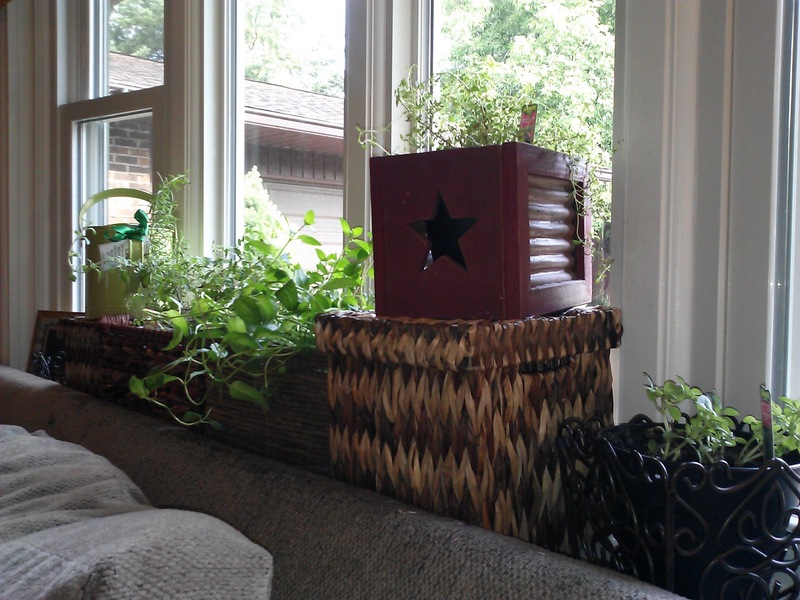 We bought some parsley, thyme, oregano, rosemary, mint and basil. We got a couple of pots. I luckily had the assorted baskets. Well I think it turned out pretty good. What do you think? The window smells so sweet. We just water the plants every other day. 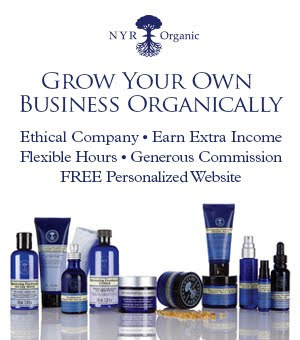 Maybe a little organic plant food every month or so. They get some nice sun from the window. Not too much but it appears to be just enough. So far so good!! And best of all no dogs in the window. Looks good and its functional and healthy. What a fabulous combination. Do you have a little extra space to spare. Try an indoor herb garden for yourself. You won't be sorry!! What a great idea! I've been buying fresh herbs in the past month for the first time in my whole entire life. Wow, they are soooo good! Basil is my favorite. I thought I would like cilantro, because I do like it, but it ended up being way too strong I think because I didn't chop it up small enough.